In just 3 months, 150 families, friends and dedicated alumni contributed $185,000 through leadership gifts, 60 lockers sponsorships and donations. 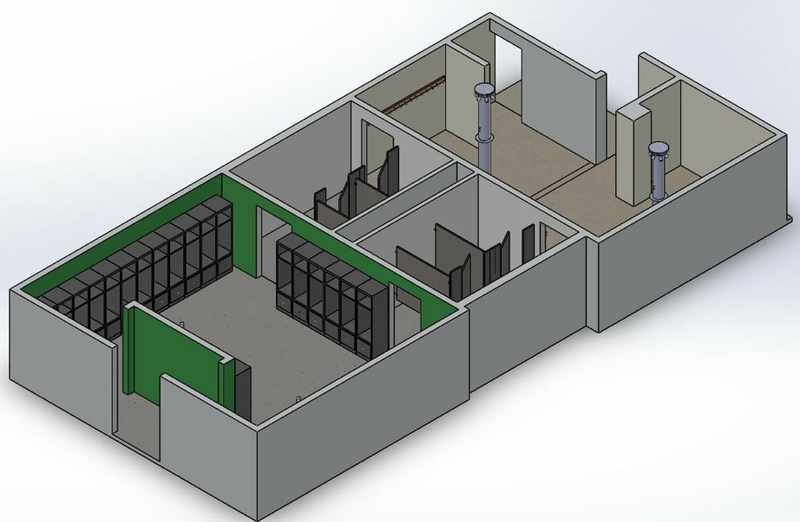 The lockers have been ordered and the demolition planning is underway. Because of YOUR support, we’re now in the “bell lap” of the Extra Mile campaign. Only 100 yards to go! While the general campaign ended December 7th, we’re still accepting donations of any level (especially “final lap” $50 and $100 contributions), locker sponsorships and leadership gifts. Please share the links to the leader/locker brochure (bit.ly/extra-mile-brochure) and our donation site (bit.ly/new-lockers) with other CSU Swimming & Diving friends and alumni. Or direct them to our on-line donation here: www.supportcsu.org/give-today, where they can select OTHER, then indicate The Extra Mile Campaign in the designation line and make their donation via credit card. To all our friends that have donated a locker, please be thinking about your locker design! We will be sending out details shortly. 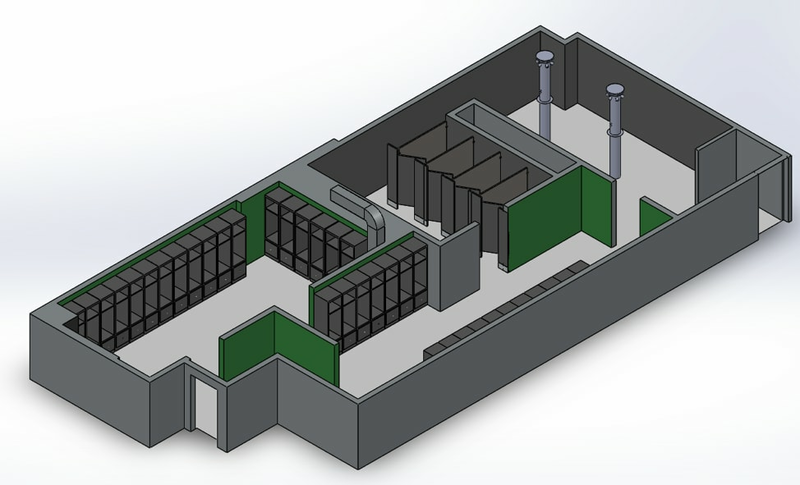 Questions about your locker design options? 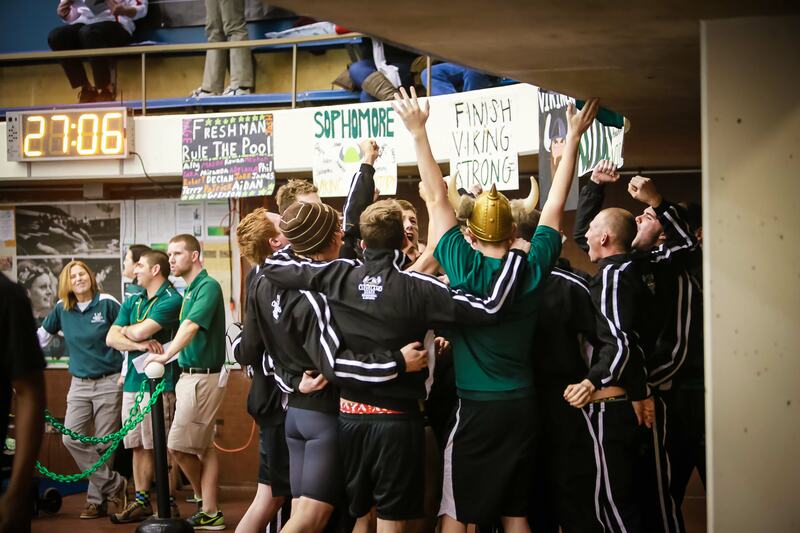 Email swim-dive-lead@csuvikings-swim-dive-heritage.com and we’ll follow-up promptly. Check out the latest design concept (just one of several options) for an individual locker plaque. 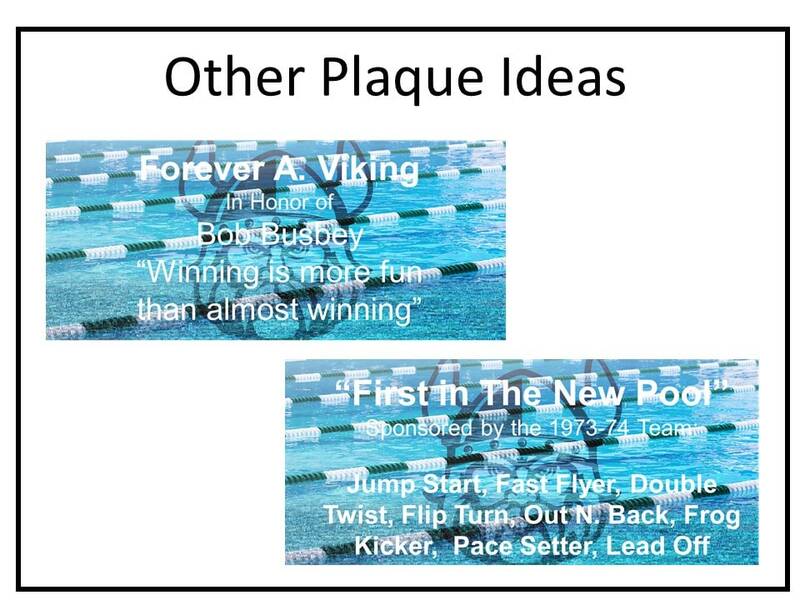 Each sponsor or group will be able to provide customization for their own unique plaque. Your gift will help support the renovation of our Men’s and Women’s Swimming & Diving locker rooms. As they stand today, the locker rooms have not been renovated since 1973 when the pool opened, making the spaces dated and not functional for today’s student-athletes. The recent 2015 Heritage project for our swimming & diving teams, provided an amazing opportunity for connection! The history of the swimming & diving program is on display for EVERYONE that walks into The Robert F. Busbey Natatorium. In the spirit of moving forward, we have an exciting opportunity for you to ‘Go The Extra Mile’! There will be an opportunity to give money for swimming event distances (50-100-500-1650 or an amount you choose), with an item identified as to the amount their donation will cover towards the locker room. These giving levels appear on the right side of our crowdfunding webpage. As you may know, 1650 represents a mile in swimming terms, which is why we are challenging you to ‘Go The Extra Mile’. 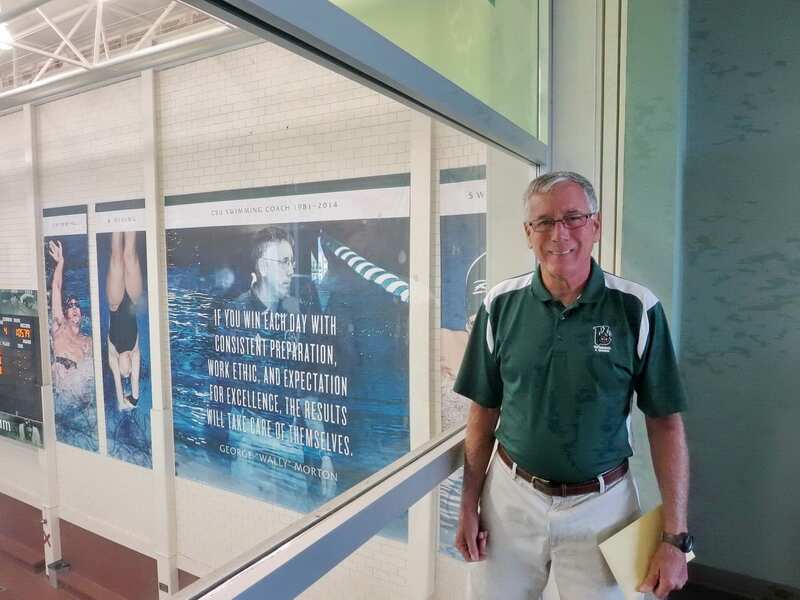 The locker rooms will be named for former CSU Swimming & Diving Coach, Wally Morton. His dedication and drive have helped countless CSU student-athletes over the years and we are excited to honor him with this project. Thank you for your support and Go Vikes! 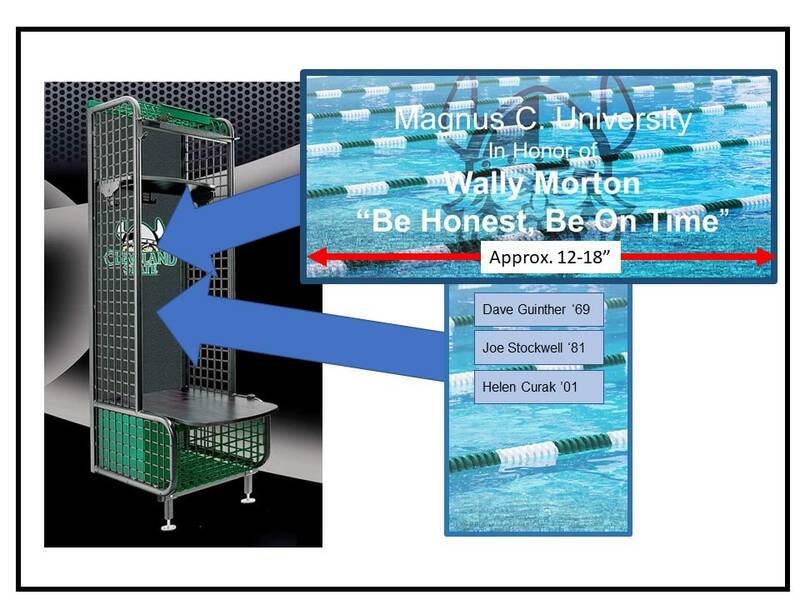 Make out to "CSU Foundation" with "Swimming & Diving Locker Room Renovation" in memo line.